George Bush played coach at SMU recently, and he actually crossed paths with a Knowles. The SMU Mustangs, like many teams, use play cards for coaches to signal to the players on the field. 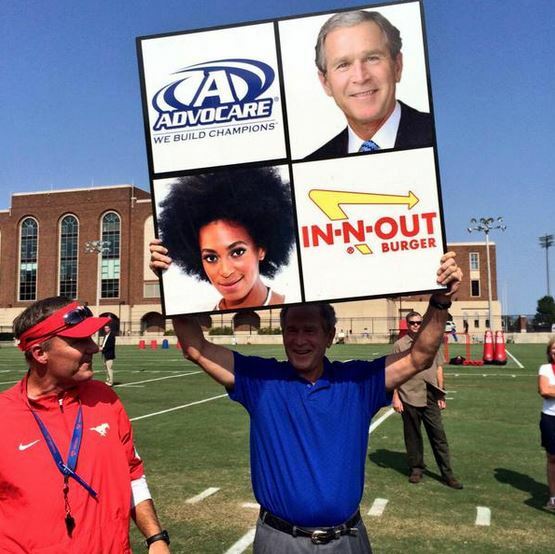 Bush just happens to be featured on one of SMU’s play cards, along with Solange Knowles.